MicheLee Puppets began in 1985 when Tracey Conner moved to Orlando and realized that the “Kids on the Block” puppet show that she had been performing in Ohio, was needed in Central Florida. 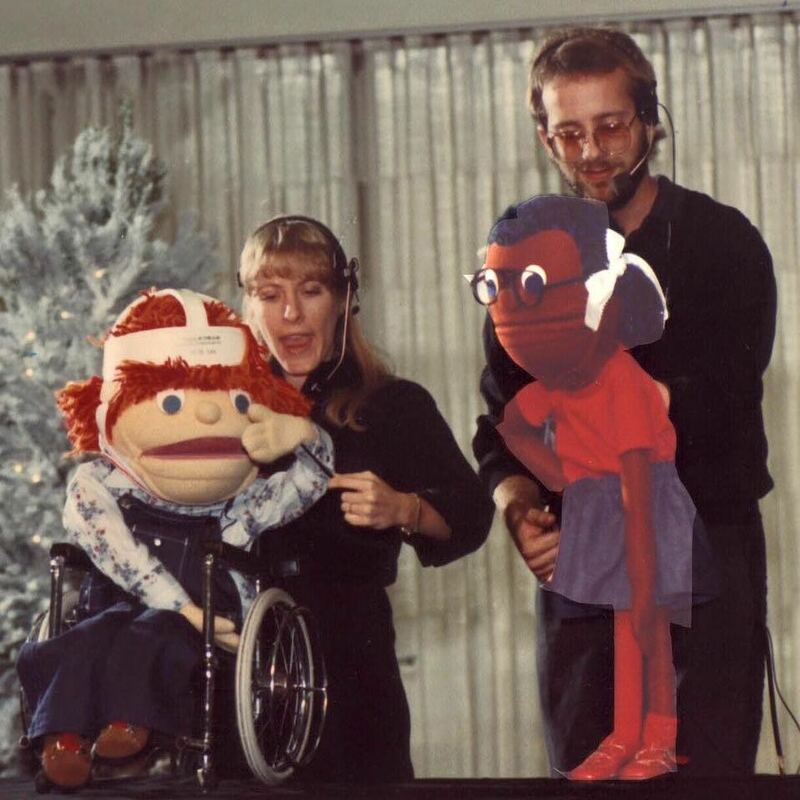 “Kids on the Block,” a disability awareness show, featured full-body, moveable mouth puppets. Puppeteers stood behind the characters, performing scenes and answering questions from the audience. Subjects ranged from physical disabilities, to emotional issues such as dealing with divorce. The puppet characters had all sorts of unique qualities about them. Lynne, for instance had been burned. She wore compression sleeves and a mask to assist in the healing of her facial scars. One day, MicheLee Puppets was contacted by a local school. Jacqueè was just starting 3rd grade at their school. She had recently been burned in a fire and they wondered if we had a show that could help introduce this concept to the other students. Tracey grabbed Lynne and off they went. The students sat quietly, mesmerized by Lynne and her story. At the end of the show the students had lots of questions. The kids had more questions. Was she angry at her cousin? No, she knew it was an accident. Finally, when all of their questions had been satisfied, the children all got up and surrounded Jacqueè with a giant group hug. 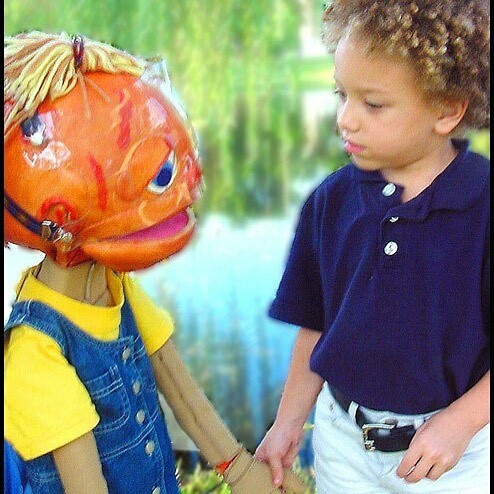 MicheLee Puppets uses puppetry to bridge the gap between a child’s natural curiosity and their ability to grasp complex concepts. Our characters break down barriers, empowering children to be themselves and to have empathy for others. We now use a variety of puppetry styles to convey important messages, but have kept our “Kids on the Block” characters for when they are needed. In fact, our newest show “Una Borinqueña en Florida” brings several of our characters out of retirement. Performed entirely in Spanish, this show helps youth heal from the trauma of relocating to Central Florida due to emergency situations. Now a whole new generation of children are being empowered to talk about their feelings and heal together. Click Here to learn more about this new show and how to help youth in need. 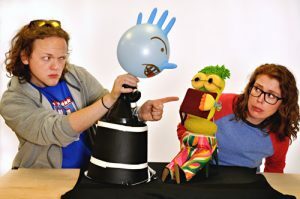 Do you have students who could benefit from a MicheLee Puppets program? Check out our Touring Shows , Classes and Videos! Contact denise@micheleepuppets.org for more information. In 2015 we had the honor of hosting Matty Smith and his family when the Make a Wish Foundation sent them to Orlando to fulfill Matty’s wish to be a puppeteer. Click Here to read about that joyful experience! Since our first meeting we fell in love with Matty’s spirit and wanted to continue his connection to puppetry. Shortly after his visit, Producing Director, Jamie Donmoyer invited Matty and Taryn to his first National Puppetry Festival. Puppeteers from across the nation come together to watch shows, take classes, and explore the art of puppetry. Matty got to meet Sesame Street puppeteers Carroll Spinney (Oscar/Big Bird) and Leslie Carrara-Rudolph (Abby Cadabby) as well as a number of puppeteers from some of his favorite shows. At this festival, Matty also discovered the Puppetry Store, a place where puppeteers can purchase supplies, books, and other merchandise including puppets! How his face lit up when he found characters to take home and make his own! Through texts, emails and visits we have stayed connected to Matty and Taryn. Matty has certainly faced some challenges, but he keeps his puppets with him, entertaining not only himself, but family and hospital staff as well. He now has a collection of characters that travel with him, and he brings each to life with its own distinct personality. Matty even inspired puppet character ‘Marcus’ from our touring show “Mission STEAMpossible”. Like Matty, Marcus has a love for arts, an adventurous spirit, and uses a wheelchair due to the effects of Osteogenesis Imperfecta. We love to introduce this endearing character to youth across Central Florida, many of whom see themselves in Marcus. It is through the generosity of donors like you that allow us to continue empowering lives through the art of puppetry. Click Here to make your tax deductible donation and positively impact the lives of youth. Liven up your holiday table with this fun and easy family craft! Make a Pop-up Turkey from MicheLee Puppets on Vimeo. The perfect, surprise table-setting or greeting card AND it’s easy to store. PLUS it’s a great lesson in symmetry. NOTE: Recommended as a family activity. When working together this activity only takes 15-30 minutes. If you prefer to decorate further, it may extend your time. File Folder: Trim your file folder to create straight edges. Then cut a 3″ strip off of the bottom of your file folder. Construction Paper: Cut and fold the construction paper as shown to create turkey feather hearts and a body (be sure to cut from the fold). For larger heart shapes, fold the paper twice, for smaller shapes fold your paper 3 or 4 times. 1. Glue or tape your hearts to the 3″ file folder strip. Be sure to arrange so that there is a straight edge at the bottom. 3. Cut off any excess as necessary. NOTE: It is best to decorate before attaching your turkey to your card. 1. Open up your decorated 3″ strip and the remainder of your file folder. 2. Place the strip at an angle (as shown), matching the folds together. 3.Place 2 masking tape strips (approx. 3″ long) on the back of the decorated strip. (as shown). 4. Fold your strip so that the sticky part of the tape is facing up, then close your card and press down to stick. Adjust as necessary for the perfect pop-up. Add a name to the front or simply color a design. Then post pictures of your turkeys and tag us on Facebook and Instagram @MicheLeePuppets. How Can You Give to MicheLee Puppets? 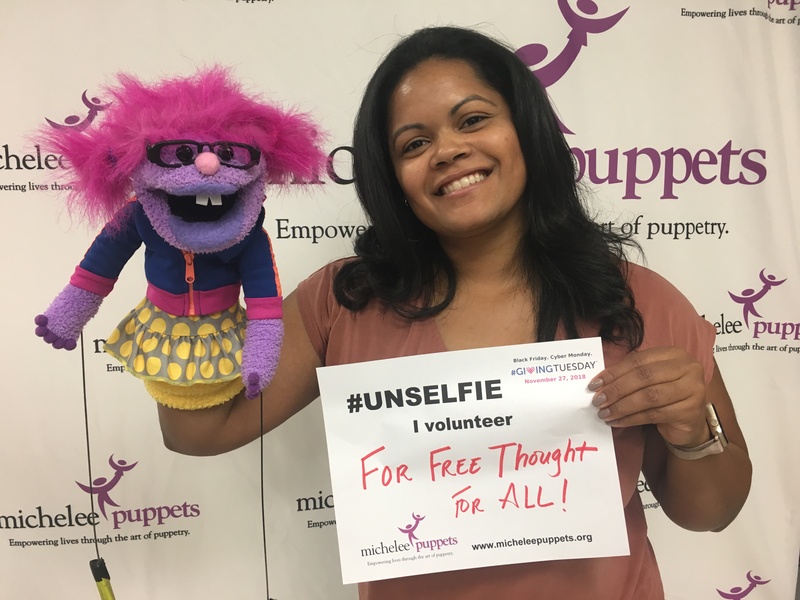 MicheLee Puppets is a non-profit organization that empowers lives through the art of puppetry. 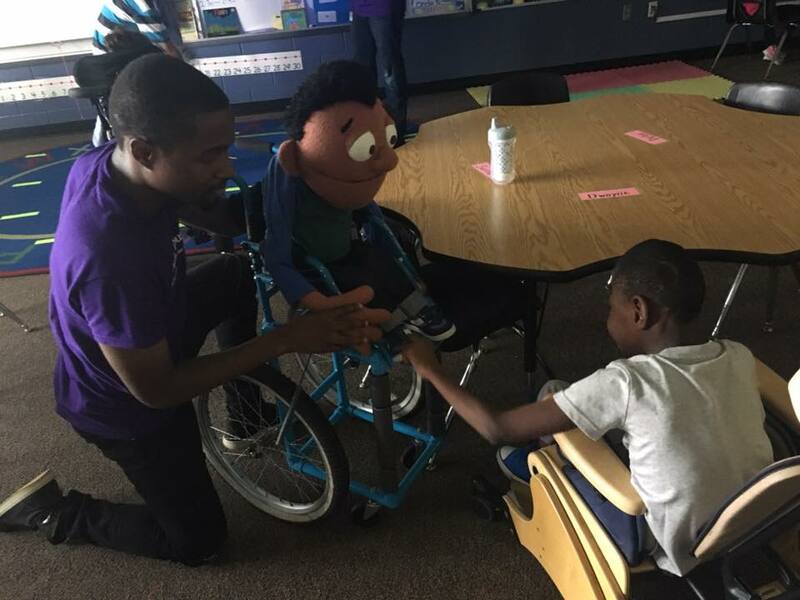 Our puppet characters break down barriers, allowing youth to communicate in new and exciting ways. We strive to improve the emotional health and well being of youth, teaching them strategies to find their voice and deal with life’s challenges. Together we are building community. We love our Volunteers! No experience necessary! 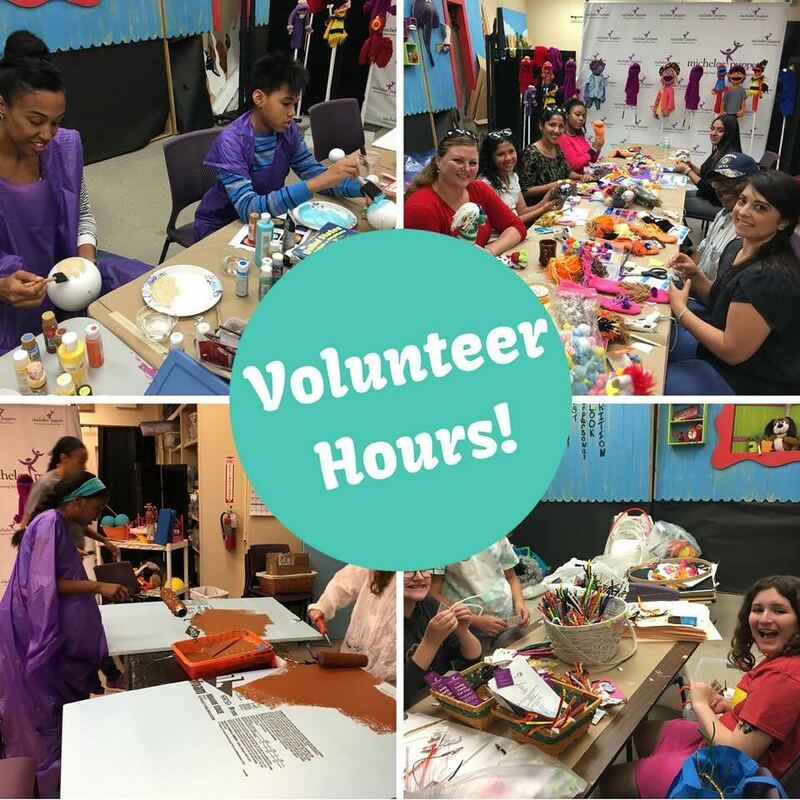 Sign up on our mailing list to be the first to know of scheduled volunteer dates or contact jamie@micheleepuppets.org to schedule a personalized volunteer time. It’s a great way to earn service hours for scholarships, scouts and more. Don’t know anything about puppetry? No problem! There are plenty of important skills needed to keep MicheLee Puppets’ business going. From web design to marketing, clerical/data entry, cleaning services, graphic arts, sewing, set design, lighting design, I.T. and more, we can use your skills! Contact jamie@micheleepuppets.org to learn more. Tell everyone that you know about MicheLee Puppets! Recommend our shows and videos to locals schools and venues. Start a fundraiser for MicheLee Puppets. Direct donations are extremely helpful! You can Click here to donate through our website. 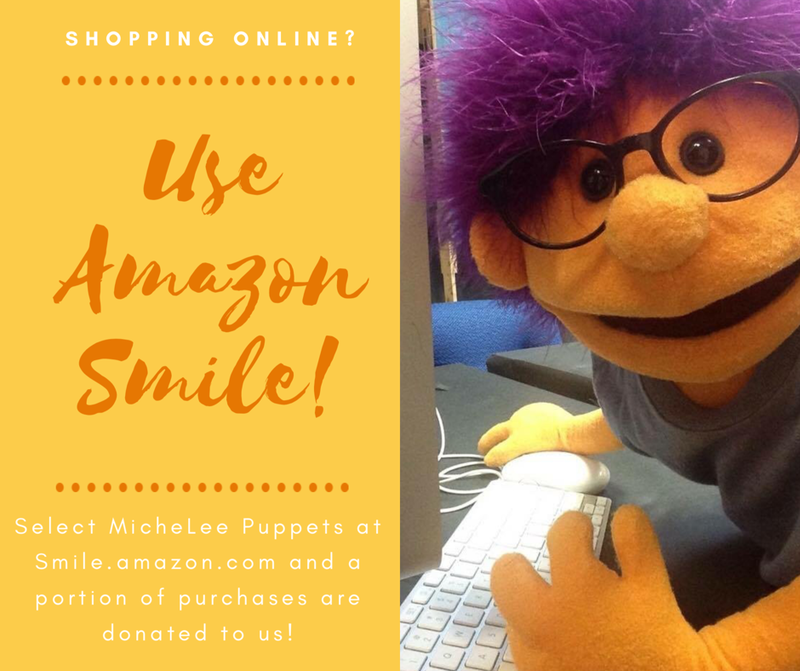 Consider also signing into Amazon Smile (Amazon’s giving site) and select MicheLee Puppets as the benefitting non-profit. You shop. Amazon gives. It’s that simple. 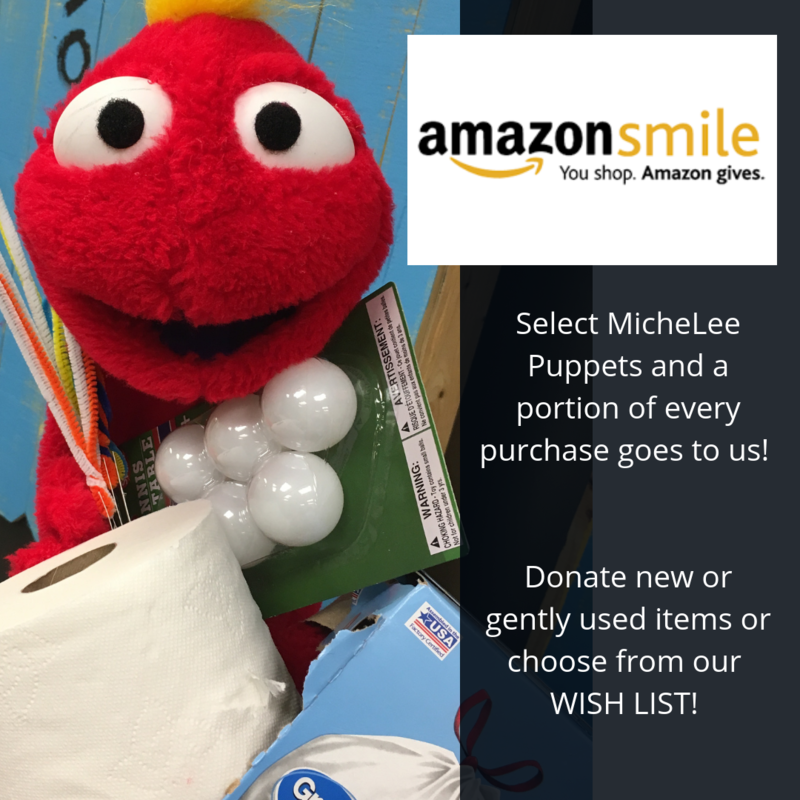 A portion of ANY purchase you make will go directly to MicheLee Puppets! MicheLee Puppets’ Spanish language show, Una Borinqueña en Florida, is part of our “Puppets Helping Kids in Crisis” intiative, developed to help Puerto Rican children who moved to Florida after the devastating hurricanes of 2017. This program (currently funded by Universal Orlando Foundation) is designed to help kids from Puerto Rico and Latin American countries heal from their trauma and adjust to life in the United States. 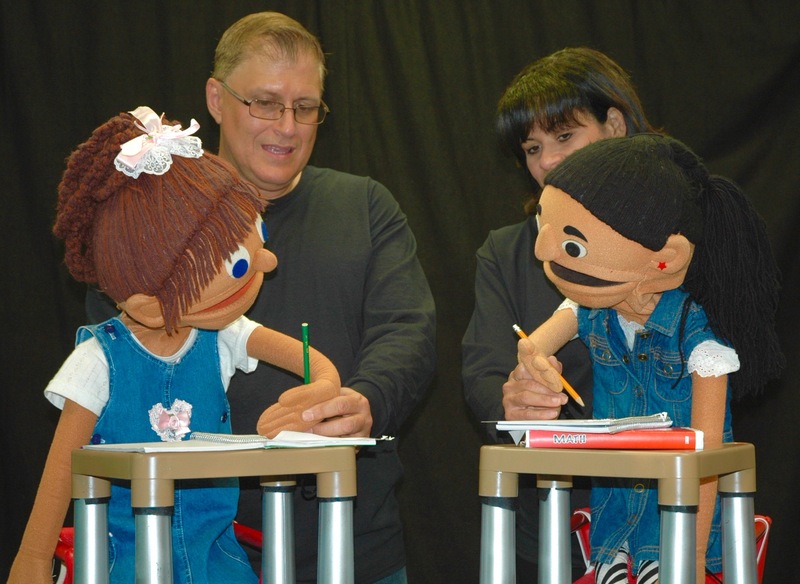 The script was written and directed by Columbian puppeteer, actress and activist Nadia Garzon, and performed by professional puppeteers from Puerto Rico known as “Los Soldaditos.” The show is performed in Spanish and features three scenes followed by an interactive Q&A with students, allowing them to ask questions, share their own stories, and learn that they are not alone. The show also teaches tactics for dealing with stress, anger, or sadness. 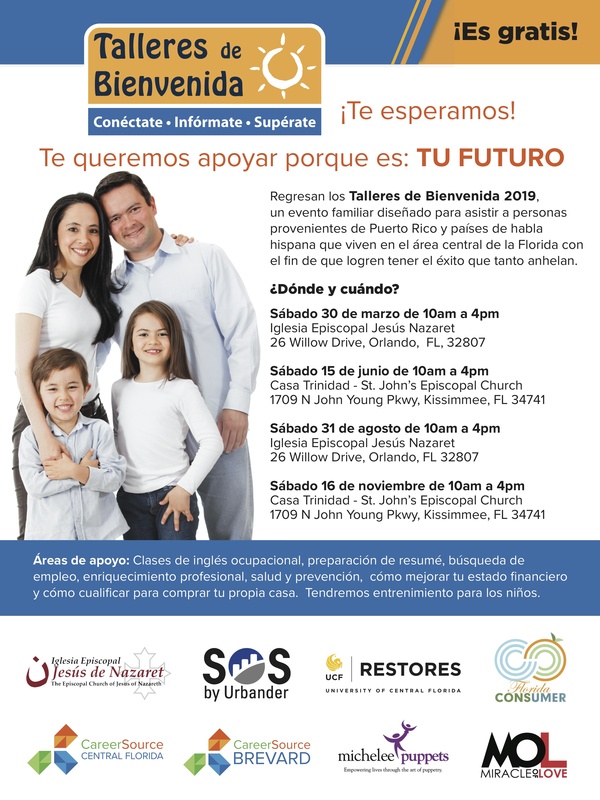 We are excited to partner with Sami Haiman-Marrero with SOS by Urbander and CareerSource Central Florida to provide welcome events for Puerto Rican families. 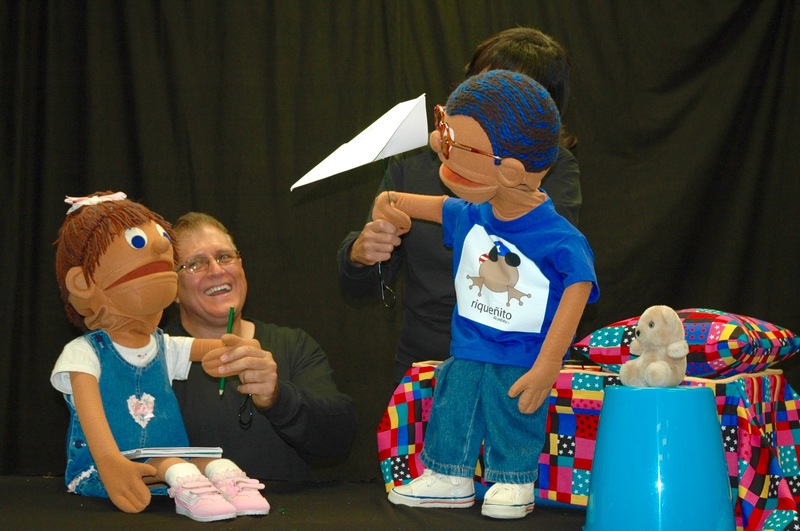 While adults learn about the culture here in Central Florida and are connected to job resources, the children participate in MicheLee Puppets’ program. According to the U.S. Department of Health and Human Services 1 in 4 U.S. students say they have been bullied and 70.6% of young people say they have been “bystanders” (witnessed bullying). As adults we may find ourselves at a loss for what to say or do, so how do we stop this epidemic? Empowerment is key. When we define bullying and its many forms we can employ strategies and tactics that turn our youth from bystanders into upstanders. MicheLee Puppets uses puppetry as a disarming and relate-able way to convey these messages to students in A Good Day for Pancake (K-2nd grade) and The Upstander League (3-5th grade). Start the bully prevention conversation with your youth by using DRT– Definition, Roles and Tactics. Make it a game! 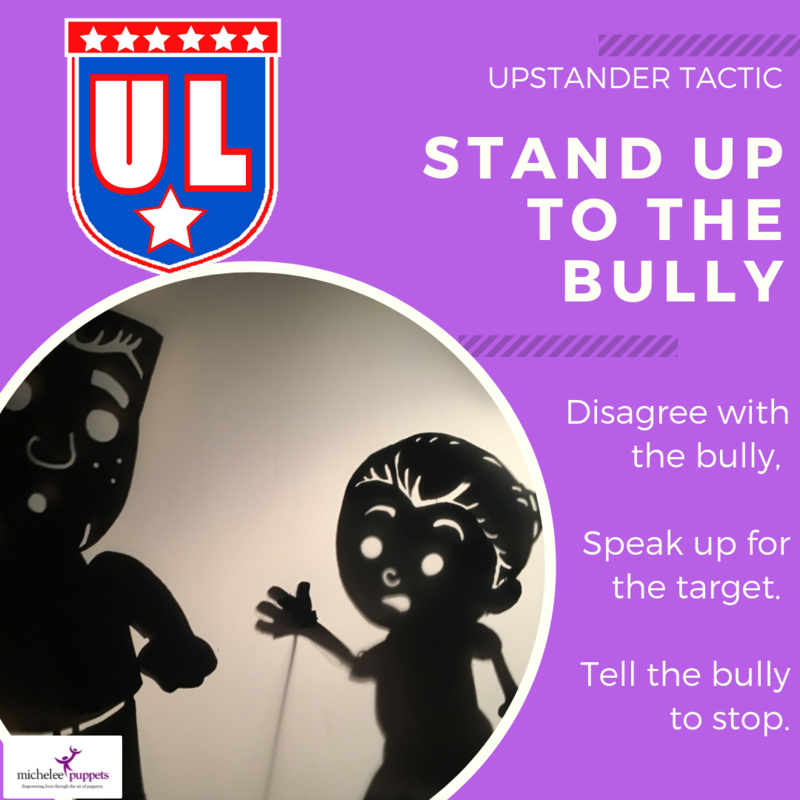 Role play the different types of bullying to allow your child to practice being an Upstander. Remember, these tactics aren’t just for kids, adults can use them too. Encourage your child to report in person, so that they can clarify the facts. If they are nervous, reporting can be done in a note, even written anonymously if they fear retaliation. In order to have the proper resources to combat bullying, reporting is essential. Many states report bullying through school INCIDENT RECORDS rather than through student surveys. States then report only a 1% bullying rate. 2 out of 3 schools report 0 cases, and yet according to the The National Center for Education Statistics 21 of every 100 kids ages 12 – 18 are bullied at school. 1 in 10 students cite repeated bullying as the reason they drop out. “Be a Friend” is a crucial, especially with social/emotional bullying. This tactic can be one of the most difficult to use because it can mean standing up to friends, however, the more people who use this tactic, the more effective it becomes. We often hear of “frenemies”, individuals who suddenly exclude or spread rumors about a friend. It is up to bystanders to become upstanders and combat this behavior with friendship. 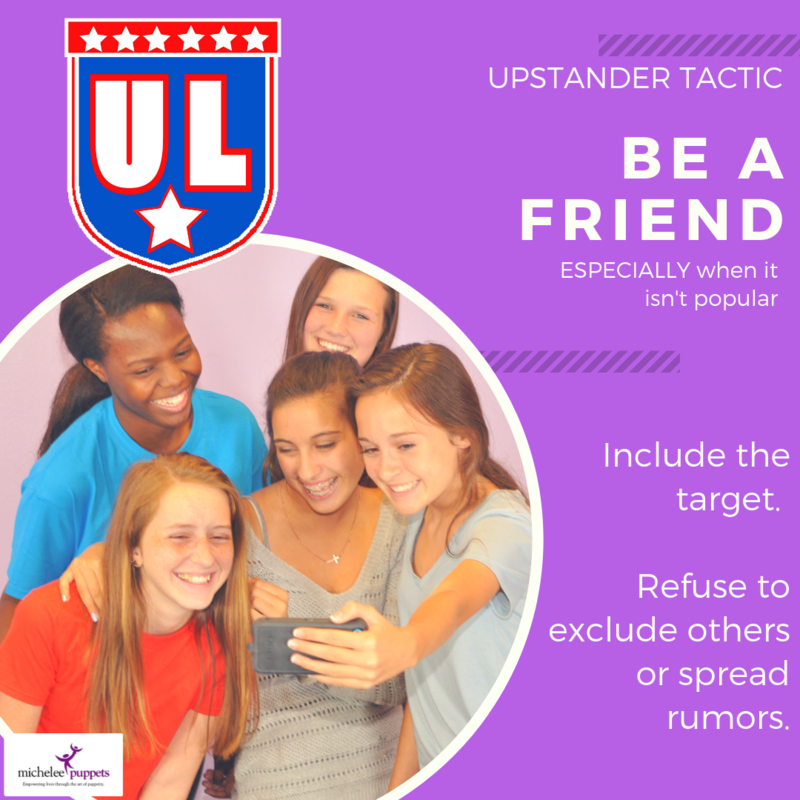 Whether or not you and the TARGET are friends, you can still “be a friend” by speaking up for the TARGET, including them in groups, and refusing to spread rumors. And, of course, report any bullying behavior to an adult that you trust. “Ignore the bully” works especially when groups of people participate. To ignore the bully is not to ignore the situation. Reporting is an essential component. Many people bully because they want to get attention. Simply refusing to be an audience can stop bullying in its tracks. This tactic is crucial for cyberbullying. Don’t respond online, even if it is to stand up for the TARGET of the bullying. Report the bullying to a trusted adult, then delete. Distracting a BULLY can help a TARGET escape a dangerous situation. Talk directly to the bully, even use their name and do something to get their attention. 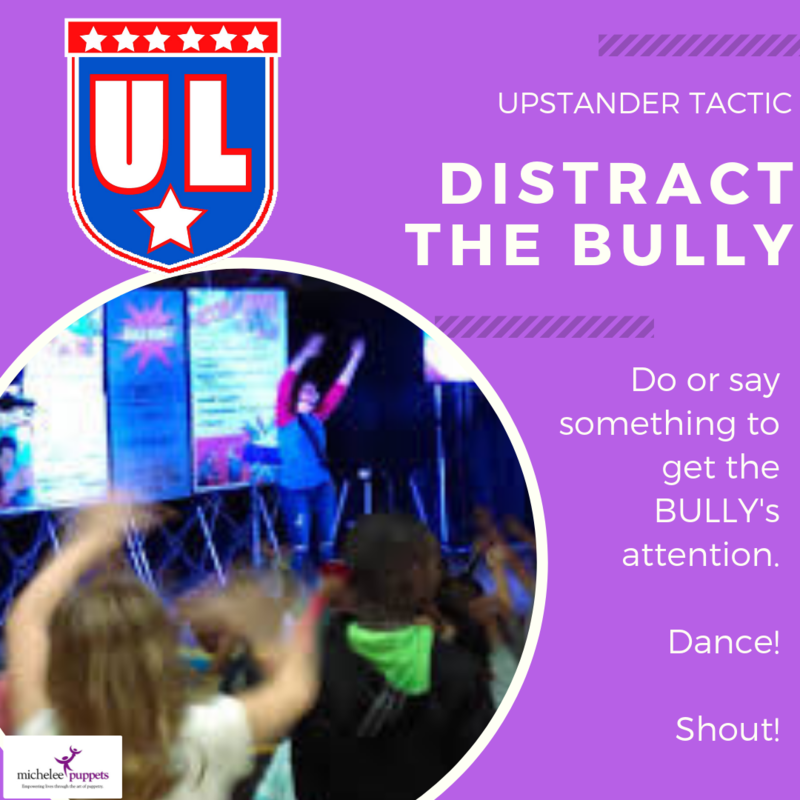 Upstanders can shout something like “Hey (insert bully’s name) the cafeteria’s giving out free ice cream right now!” or “The Principal is coming.” Upstanders can even find funny videos on their device to show the bully or dance around wildly to get their attention. What other distractions can you and your child create? 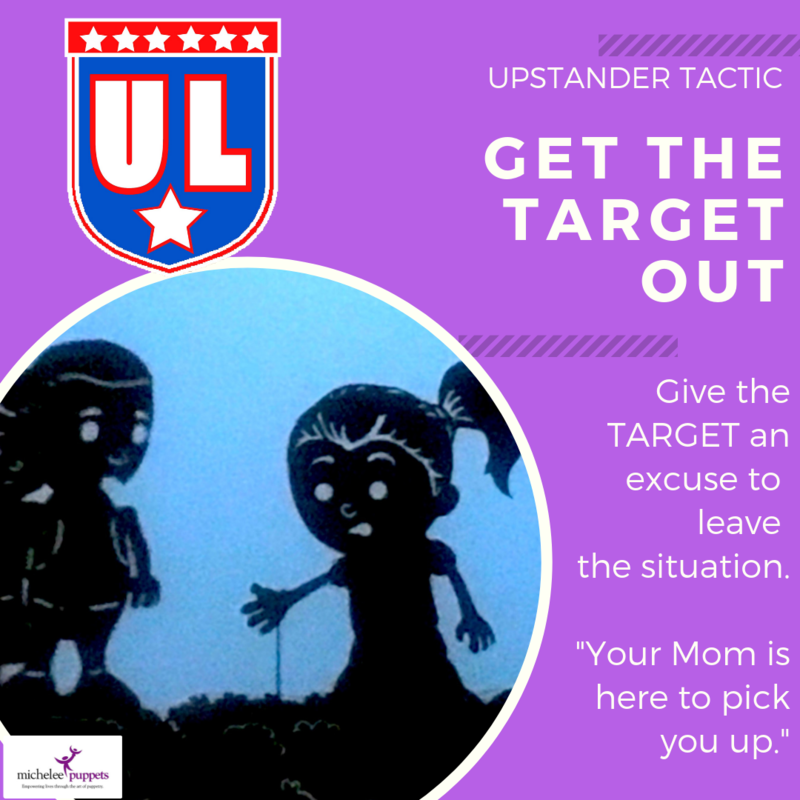 Creating an excuse such as “Your Mom is here to pick you up” can help remove a TARGET from a dangerous situation. This technique is especially important to combat physical bullying. Be prepared! Practice excuses that can remove a Target from a bullying situation. Think of public locations such as a playground, library, party, etc. and come up with excuses that could apply in each location. Determine which excuses will work in a school setting. Your child may have questions about lying related to giving excuses. Remind your child that these excuses are for emergency situations (similar to stranger danger) to keep someone from getting hurt. Standing up can take many forms, but at its essence, it means to tell the bully to stop. People may think of physical violence, such as in “A Christmas Story” when Ralphie, a TARGET of bullying, fights back bloodying the bully’s nose. This is not what we mean. By adding to violence, it puts more people in danger. Words Have Power. Tell the bully to stop. Get others to do the same. Groups are powerful against bullying. If someone is spreading rumors, verbally bullying someone, or physically bullying them, tell them to stop. Speak with confidence. Then report the bullying to a trusted adult. Click here to book “A Good Day for Pancake” (K-2nd grade) or “The Upstander League” (3-5th grade at your school or venue. Join “The Upstander League”! 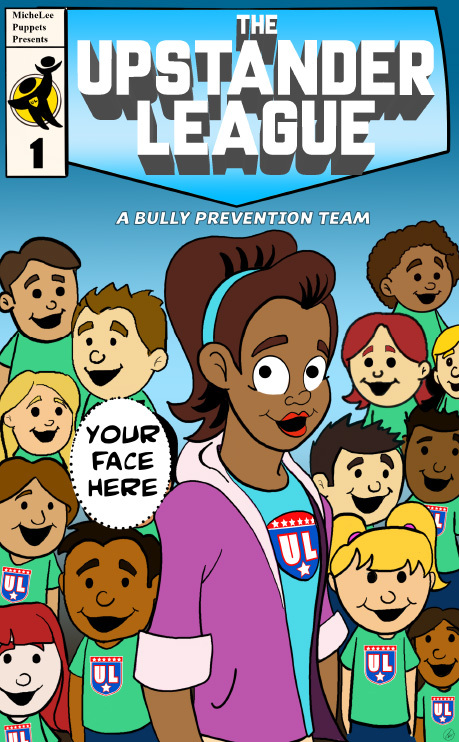 Learn how to stand up to bullying with “The Upstander League” official handbook! 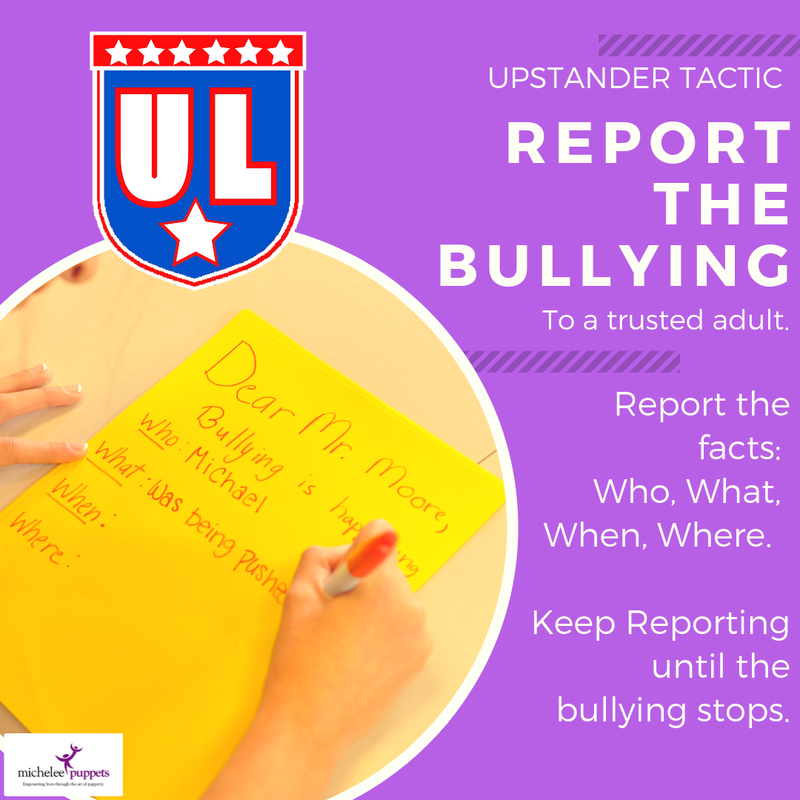 The Upstander League includes everyday citizens, like you, who witness bullying and do something to stop it. 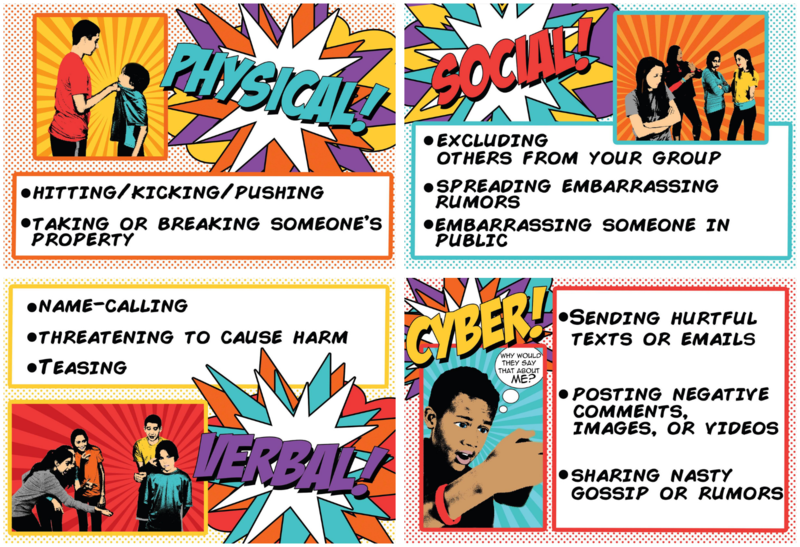 With this comic book, you will have the tactics to help stop any bullying situation. Enjoy stories and activities that will take you from witness to Upstander. MicheLee Puppets, Inc., Florida’s leader in educational puppetry, is hiring two individuals to fill the following positions for the Central Florida tour of our newest show, “Mission STEAMpossible.”All persons hired will be required to pass an FBI fingerprint background check. Please read descriptions before applying. A strong candidate for this position will have a positive attitude, professional appearance, good communication skills, and be comfortable around children. This position includes early mornings. Being on time is a must! Job runs on weekdays, 1-3 days per week and occasional weekend shows. Rehearsals begin in August and tour runs Aug. 30-Dec. 20, 2018. Seeking a stage technician with live sound experience and ability to run sound and lights for a stage production. 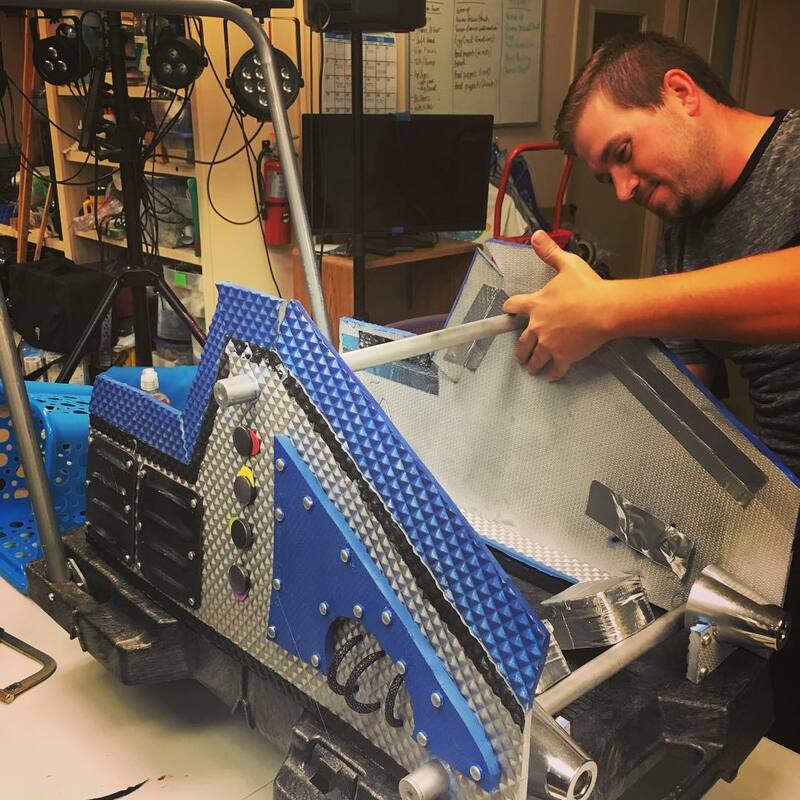 Job will include load in and out of set and tech gear, set up, and strike. Must be able to troubleshoot and make repairs on equipment as needed. Job runs on weekdays, 1-3 days per week and occasional weekend shows. Tech rehearsals last week of August and tour runs Aug. 30-Dec. 20, 2018. To apply, please email a resume and cover letter to tracey@micheleepuppets.org. Deadline for resume submissions is July 31, 2018. 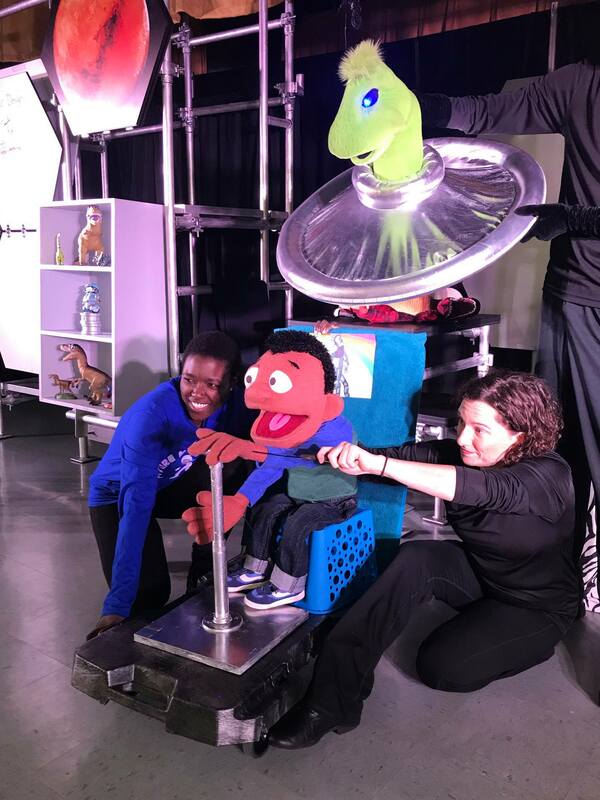 ABOUT MISSION STEAMPOSSIBLE– This 3-person cast performs shows for elementary aged students at schools and larger venues. This show will tour schools and public venues primarily in Central Florida. In addition to performing, actors/puppeteers will help load in, set up and strike for each show. A sound/lighting technician travels with the cast to run live light and sound. 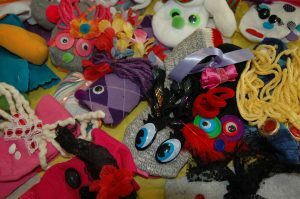 On March 25th MicheLee Puppets will be setting a record for the most sock puppets assembled in one hour during our Sunday Family Fun Day World Puppetry Celebration. These puppets will then be donated to youth in need as part of our “Puppets Helping Kids in Crisis” program to assist those relocating to Central Florida from places like Puerto Rico. Our goal is to create 200 sock puppets. We are in need of volunteers to assist in both the preparation and implementation of this event. Will you or anyone at your organization be able to help with the following? MicheLee Puppets, Inc., Florida’s leader in educational puppetry, is casting puppeteers and actors for our 2017-18 Season. We are a touring company that performs in schools and public venues primarily in Central Florida, with occasional performances throughout the state of Florida. In addition to performing, actors/puppeteers will help load in, set up and strike for each show. Male and female performers of all races/ethnicities are encouraged to apply. All performers hired will be required to pass an FBI fingerprint background check. To apply, please email your headshot and resume to Jamie@micheleepuppets.org. Auditions will be by appointment only on July 13 and July 14, 2017. If called to audition please prepare a one-minute comedic monologue. You may be asked to show movement skills and sing for some roles. 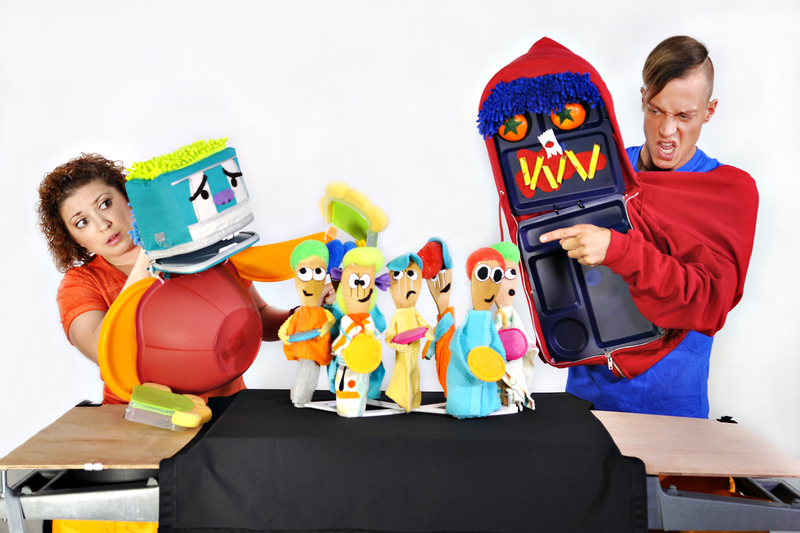 Be prepared to work with one of our puppets or bring your own puppet. If you are auditioning for Rhyme Time and Discover Math and Science, please prepare a song. 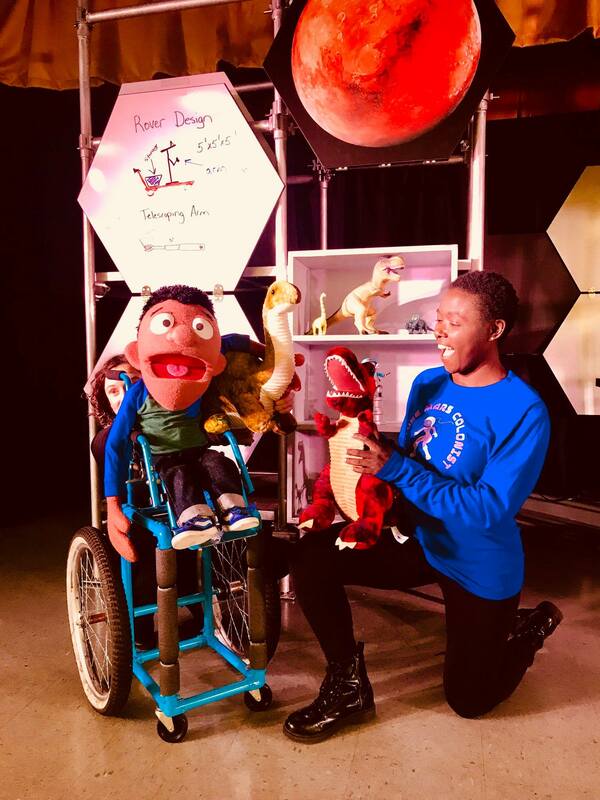 Rhyme Time and Discover Math and Science – These shows feature toy theatre sized stages, simple paper puppets, hand puppets, shadow puppets, music, singing, and audience participation for preschool audiences. Our solo performers must be good singers and very good with small children. A Good Day for Pancake – This solo performer bully prevention show is geared for K-2nd graders. Puppeteer must be proficient (or able to learn) hand puppet techniques and must be very good with multiple character voices. 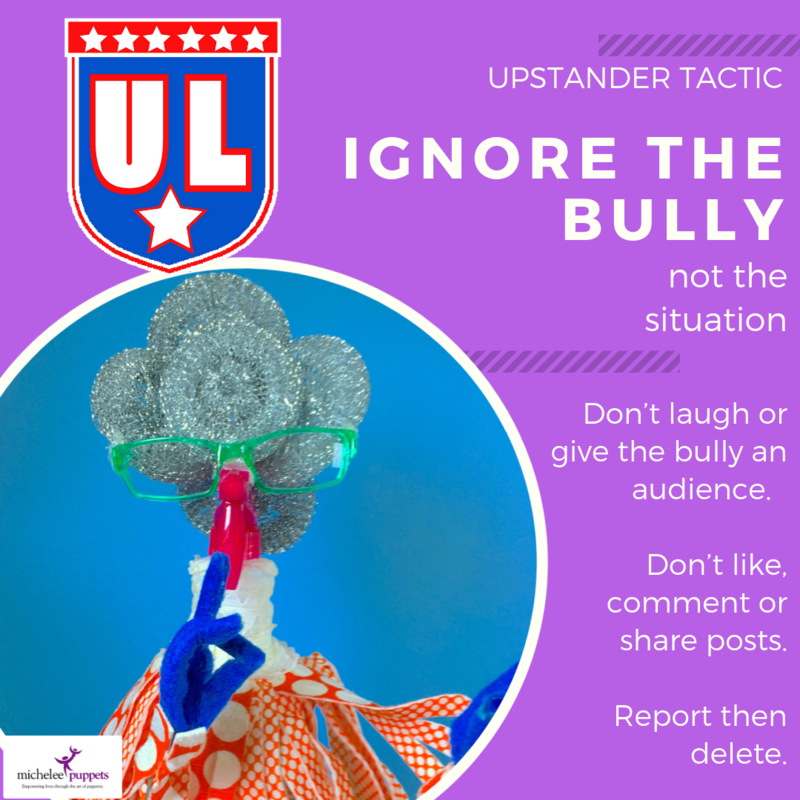 The Upstander League –Casting one female and one male actor/puppeteer for this two-person bully prevention show, geared for 3rd-5th graders. These roles require lots of audience participation, physical humor, puppetry and interaction with children as well as some spoken word singing and basic movement skills. Questions? Please contact Jamie at 407-898-7925 x 223 or Jamie@micheleepuppets.org. To learn more about MicheLee Puppets, visit micheleepuppets.org. Now you can print and color your very own character from MicheLee Puppets’ “A Good Day for Pancake” bully prevention show! Downloads are available in full color, or black and white, with and without drawn faces! Have questions, comments or want to learn more about MicheLee Puppets? We’d love to hear from you! © 2019 MicheLee Puppets. All Rights Reserved.